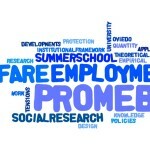 The Research Group PROMEBI (University of Oviedo, Spain), ESPAnet (European Network for Social Policy Analysis) and ESPAnet-REPS Spain are organizing the IV PROMEBI-ESPANET SUMMER SCHOOL 2019 on ‘Social Research on Employment and Welfare Interactions. Exploring and Interpreting Occupational Welfare’. 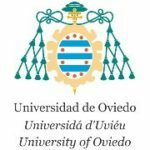 Venue: Department of Sociology, University of Oviedo, Spain. Application period: 15 April – 15 May 2019. Training hours: 3 ECTS credits. The Fourth PROMEBI-ESPANET Summer School aims at collecting expertise and knowledge on recent and high quality research developments in the field of employment and welfare interations. While student’s contributions related to this broad thematic field are welcome, lectures and debates will focus on Occupational Welfare. The School is targeted to PhD students and post-doctoral early career researchers from all over Europe and abroad, who will interact and be mentored by leading experts in the field. The School offers an enjoyable program of interactive lectures, seminar presentations and discussions by renowned international scholars, with prior reading assignments. The School is multidisciplinary and welcomes PhD students and post-doctoral early career researchers from sociology, political science, economics and history. Tuition fees, board and lodging costs for participants will be covered by the School. Silvia Avram (ISER-University of Essex). Heejung Chung (University of Kent). Matteo Jessoula (Universitá degli Studi di Milano). Marteen Keune (University of Ámsterdam / AIAS). Nathalie Morel (Sciences-Po / PSIA). 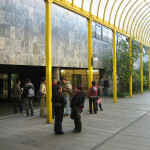 Emmanuele Pavolini (Universitá degli Studi di Macerata). Philippe Pochet (ETUI / Université Catholique de Louvain). Tobias Wiss (Johannes Kepler University – Linz / Hertie School of Governance). To apply, please send a CV to promebi@uniovi.es, together with a short outline of the paper that you would like to present in the Summer School (up to 500 words). Application period is 15 April – 15 May 2019. Successful applicants will be notified by 31 May 2019.